I am very happy to have a chance to chat with Alla Koval, a very talented crochet and knitwear designer. Her designs for kids are sometimes sweet and sometimes bold, but always creative. Her sense of color scheme and choices for stitch patterns are impeccable. I guarantee that after you see her designs once, you will remember them. Alla is very savvy in photography and all products like Adobe Illustrator, Photoshop and more. In her patterns, and now books, she is behind everything you see. Like I said, all around talent. I hope you will enjoy my interview with Alla as much as I did. When did you start knitting (crocheting) and who taught you? When did you begin publishing your designs? 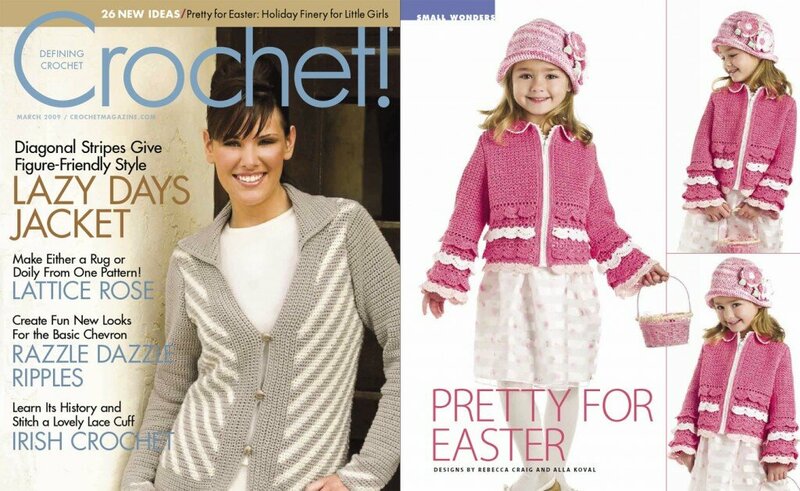 I self-published my first pattern in 2008 and never stopped since then. In 2009 I debuted in Crochet! magazine with a Pretty for Easter jacket pattern. What is your most favorite knitting (crocheting) technique? 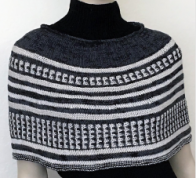 I would say Stockinette stitch – it’s simple but offers endless possibilities. I also like cables. If talking about crochet, I love lace the most! 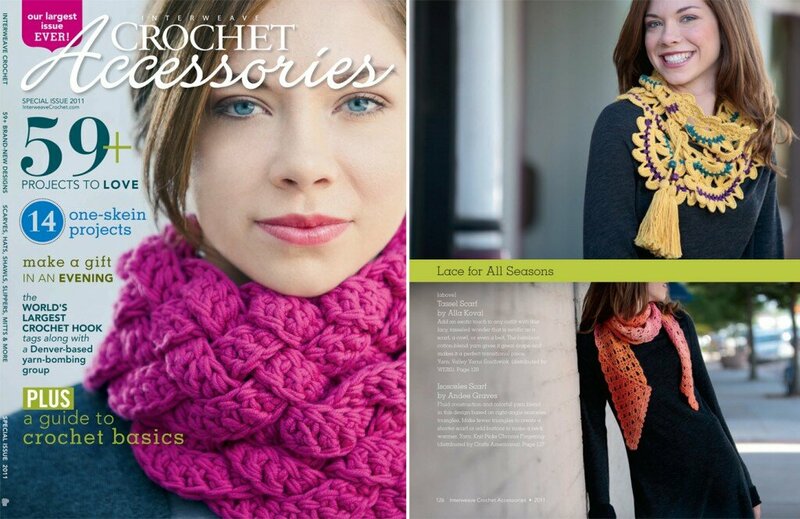 But my absolutely favorite “technique” is to combine knit and crochet together in one project – they complement and showcase each other and allow for more freedom in using design elements . When you are thinking about a new design, what inspires you the most? Is it different every time?Could you give us some examples on inspiration for some of your designs? Sometimes, the idea for a design just comes into my head and I don’t know from where. I just visualize it clearly and then somehow make the mental images into something real. I call it “design as you go”, when having the rough idea is enough to get started. Other times, I find inspiration in paintings and photographs—Pinterest is an amazing source of inspiration and pure eye-candy. I look at things and try to understand if I can see something special what has to be noticed. Often I start by looking for unusual stitch patterns, and start building my ideas from them. It’s so interesting to see how a stitch pattern evolves when you start modifying it, especially when combining with other patterns! But most of my inspiration comes from colors of nature and changing of seasons. It’s no secret that I am endlessly inspired by beautiful colors. You just have to take a peek at my portfolio to see that most my designs are thoroughly and obsessively color coordinated. One of the brightest memories from my childhood is my very first set of 48 color markers. I was super excited to experiment with colors, and my mom paid attention to how I used them. Later she told me that when she asked why I combined the colors that way, I explained – “They felt happy together.” Well, I still have that excitement about colors, and l am always on the lookout for new color combinations to work with. For example, for this Polar Bear coat, my inspiration came from an animal mask that was hanging on a chair that I saw at one of the kid’s birthday party. 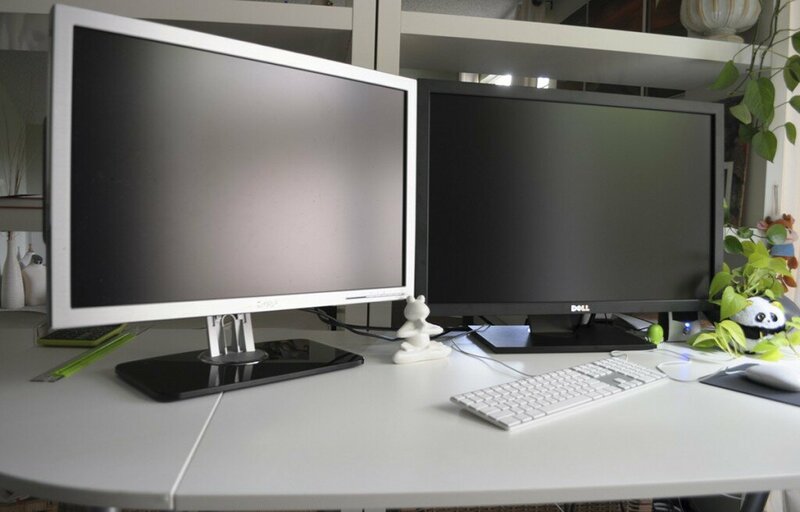 I am a big fan of black & white, books, tropical plants, plush toys, polka dots, wall art and lots of natural light… and, actually, that’s all it is about my studio. Plus, I have a mini photo studio (read – a corner in my studio). Below is one of very first “set ups” in my mini photo studio. And this is one of the working moments: a photo session for my very first set of four books published a year later. What is your most favorite place to knit (crochet)? In front of my computer, sitting in a comfy chair with our adorable Chihuahua Pixie on my lap, and watching something interesting or reading a book (if I am knitting). Do you spin your own yarn? Do you belong to a knitting group? Not really – although I am a “member” of certain Ravelry groups and CGOA since 2007. Doing so many projects takes most of my spare time and it’s really hard for me to join and be an effective member. Are you in touch with other designers and how do you communicate with the knitters who knit your designs? Thanks to email and social media, I was able to meet many amazing designers online and even some of them in person! I keep in touch with wonderful customers who have made projects from my designs. I especially love to receive photos of their projects and honored to show off their creations on my site’s You made this! page. Where can we see your published designs? 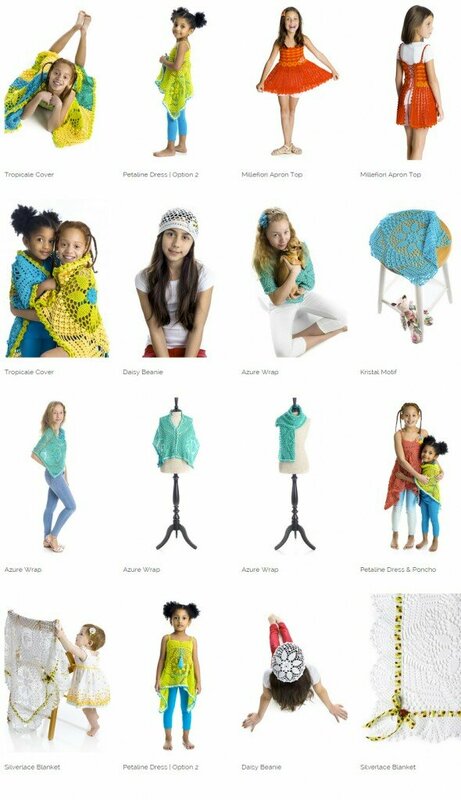 My self-published patterns can be found on my website mylittlecitygirl.com, Ravelry, Etsy, Craftsy, DaWanda. 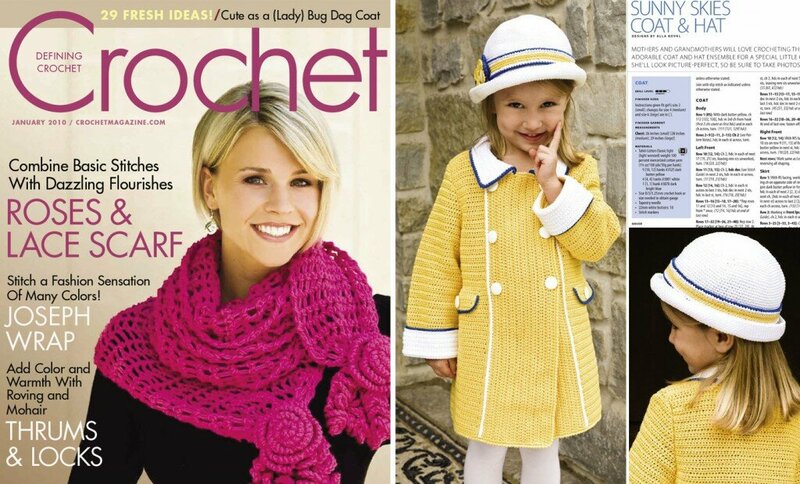 As for hard copies, you can see my patterns in Crochet! and Interweave Crochet magazines and also in my own, just released, Imagical Seasons book series available at ImagicalSeasons.com, Amazon and other stores. Do you teach classes? If yes, where do you teach? I do not feel that teaching is that my “thing” to do. But I love everything about self-education and enjoy sharing my experience on my blog under “trade secrets” category. What would you like to tell knitters or crocheters who are timid and do not believe they are skillful enough to knit or crochet some of your designs? I do my best to provide very detailed and clear stitch diagrams, schematics and complete set of written instructions, that have a layout that allows you to just follow along without having to do any interpreting or calculating. I provide instructions and stitch diagrams for shaping and all finishing details I might call for in the pattern, as well as having special stitches descriptions and tutorials for the techniques I use. If you still need help – please feel free to contact me by email or through my sites, I’ll be glad to help! It’s a very tough question. I have tons of plans and ideas! I am working on my next 2 books for Imagical Seasons series: Fall and Winter. Both should be finished and printed around the New Year! And then a few more! Plus I have a few new patterns in different stages which I plan to release in the nearest months. Can you share with us some of your latest designs? There was a tiny break in the book publishing routine. So I decided to crochet some swatches for the Scarlet tunic pattern… Well, I ended up not only with swatches I liked, but with a few more projects: 2 coats, a jacket, a brim hat, and a beanie and Blue poppy flower pin 🙂 In other words, my Flower 2015 collection was born … It was absolutely a pleasure to make them, but “magically” I got 7 more patterns to write now. 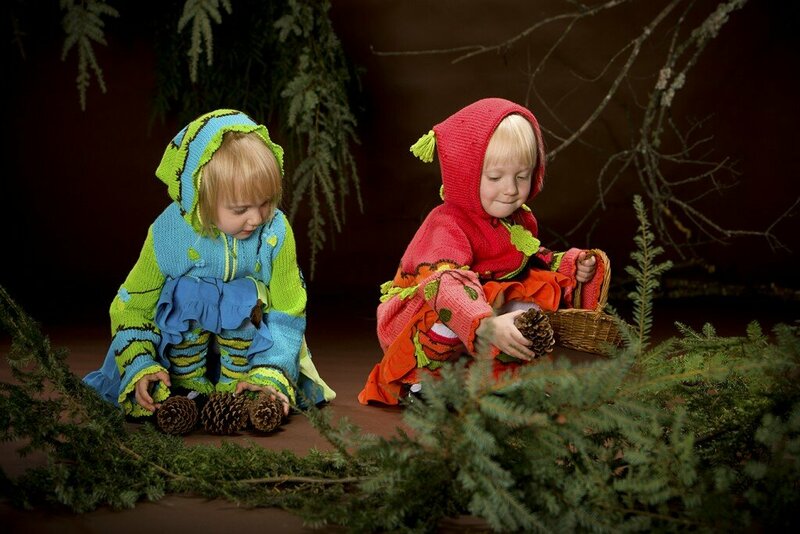 On the bright side – one of these coats came just in time to complete Imagical Seasons: Winter book collection! Here are some pieces from it. Would you like to add anything about yourself? I am a big fan of power walking on local trails or distant hikes. It’s my favorite recreation after hours of working in front of a computer. Also I love to cook and to spend time with my family and close friends. If you are lucky, you can find me enjoining early morning workouts or hot yoga classes. I love reading and knitting, so I enjoy doing it at the same time. Around age 20, I watched TV program where some blind ladies were knitting socks – I don’t remember much details today, but I remember my feeling at that moment – I was practically stroked with understanding that you don’t have to look at your hands and follow your needles with eyes. It was a challenge and I was determined to learn how to “knit and don’t look”. So now I can knit and read a book at the same time to double my pleasure! My home city is Poltava, Ukraine; it has long history and many traditions and I love my city; my family is still there and I love to come back to them from time to time. In 1999 my family and I moved from Ukraine to Seattle, WA. FG: Alla, thank you so much for sharing all this with us! I am sure that my readers will be happy to know that your two books are available now on Amazon and your website and you are working on the rest of the collection. Best wishes and we will be on the lookout for your upcoming designs. Attention readers! Alla was very generous to offer 2 books to my winners. Thank you, Alla. To be included in our drawing, please go to my Ravelry group for details. Ravelry.com is a website with a free membership. Thank you all for coming over to read about this interesting designer. Very informative and useful interview. I enjoyed it very much. Thank you for posting. Coz I’m already have the copies of the books, I let the other people to win this giveaway. I like to crochet even if I’m mainly a knitter. This pattern are all very intriguing but I think the Silverlace Blanket is really the one that I would crochet. These patterns are so beautiful. Makes me wish I could be a little girl again. Maybe I’ll have to be that little girl through my grandchildren when I get them. I love her patterns!! I would love to make some of her designs for my two granddaughters , ages 7 and 8!! I first learned to crochet before I learned in knit . 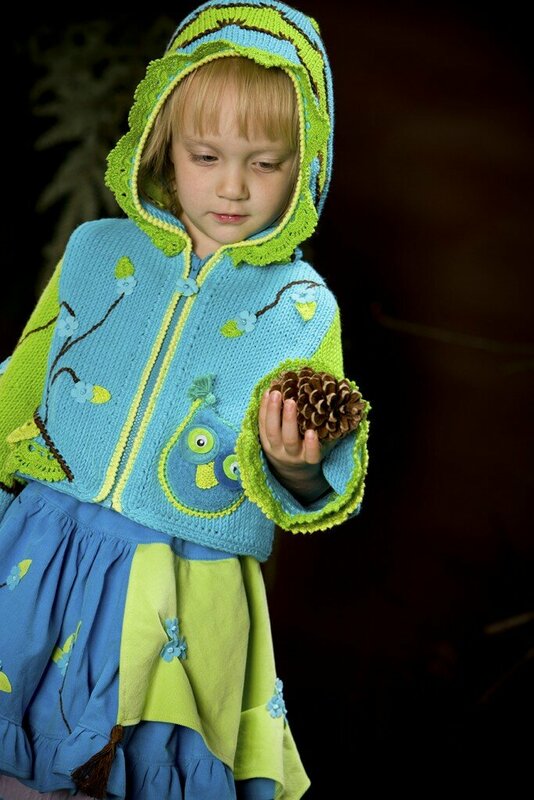 The last few years I have mainly been knitting but Alla’s designs are inspiring me to start a crochet project(s) for my granddaughters!!! Thanks for such an interesting interview. I love these designs! I’m primarily a knitter but love to dabble in crochet. (Not to mention that it’s good therapy for my hands to mix it up a bit!) I would love to make the tropical cover and the cute boleros. Plus, the Krystal motif is stunning!